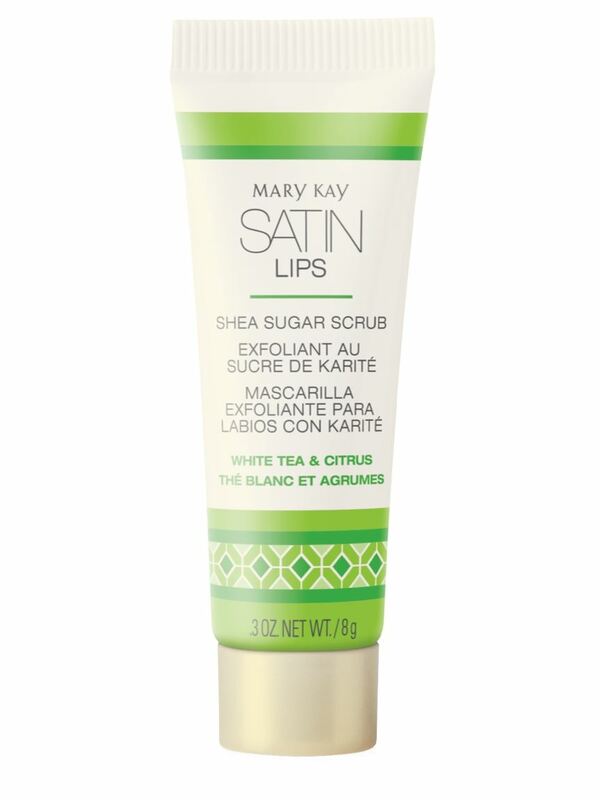 Satin Lips® Shea Sugar Scrub gently exfoliates to soften and smooth, polishing lips to perfection. Formulated with white tea & citrus to lend a fresh flavor. The shea sugar scrub leaves lips feeling soft, smooth and conditioned. Relax and enjoy this revitalizing lip-scrub experience. The shea sugar scrub exfoliates with natural sugar crystals to gently polish lips to perfection. Blended with luscious shea butter, the scrub leaves lips feeling soft, smooth and conditioned. This expertly formulated scrub also includes Sunflower Oil, known to be rich in the antioxidant vitamin E.
Gently massage this confection onto lips for one minute to help with dryness. Shea Butter. Used for centuries to protect, enrich and soften skin, shea butter is known to contain omega-3s. Omega-3s are known to help maintain skin’s natural moisture barrier. And when the skin’s barrier is protected, precious moisture is less likely to escape. A perfect ingredient for your everyday spa experience, shea butter wraps skin in creamy hydration bliss. Sunflower Oil. Known to be rich in antioxidant vitamin E.